Remember when Peyton and I saw Home? We just LOVED that movie. Tip, Oh and Pig were so much fun to watch. Well, thanks to Netflix and DreamWorks Animation Television the fun didn’t stop with the movie. 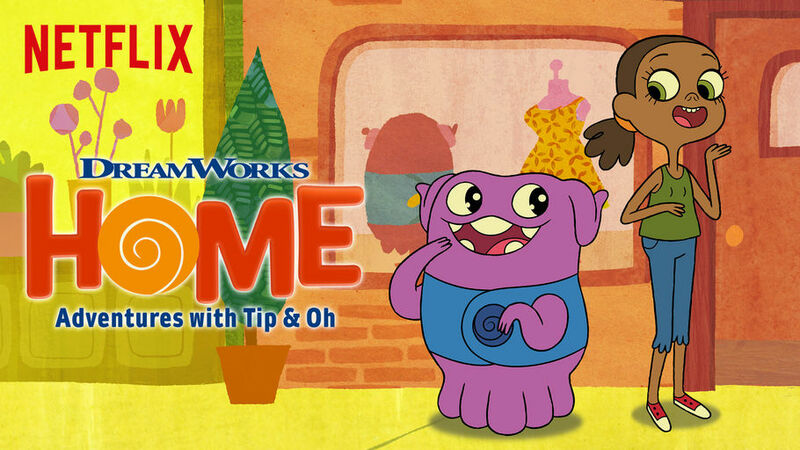 Today, they are releasing season 2 of Dreamworks Home: Adventures with Tip & Oh! If you missed season 1, don’t worry, you can still catch it on Netflix. Tip and Oh – the two best friends from two very different worlds – are back with more heart, hilarity, catchy tunes and fun-filled adventures for 13 all-new episodes of DREAMWORKS HOME: ADVENTURES WITH TIP & OH! These besties prove their friendship is only getting stronger as they explore human and alien worlds with unexpected and surprising results. Whether camping, concert-going or discovering inside jokes, Tip and Oh are inseparable friends tackling any situation with a lot of love, a ton of laughter and a few delightful duets when Season 2 premieres on January 27, only on Netflix. If you were crazy about Home the movie you’ll love Adventures with Tip & Oh. It’s a fun show you let your little one watch any time of day. Up with a sick kid? Turn on Netflix and watch a little of Adventures with Tip & Oh. Doesn’t matter what time of day, it’ll be there waiting for you. Don’t have Netflix? Sign up today! Many smart TVs have a Netflix ap so you can watch from your television. I know ours do! You can sign up for a free month before you make the commitment. Plus your membership goes wherever you go. You can watch from home or on the go with your phone or iPad.